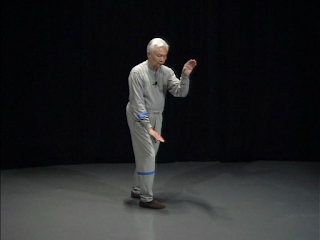 I never hear feedback from my Classical Tai Chi students regarding difficulty in doing this, this is reasonable to understand...they do not yet know what it feels like. So, the teacher, a mirror or one's own personal video to monitor the moves and one sees they are pushing with either front or back foot. Also, important to check stance, structure, distance between feet, etc. To the nitty gritty of this they are really in the beginning and most difficult stage where they are learning to gain and keep attention in the core region. Any attention on the leg as evidenced when one pushes then the move will be partially initiated by the leg and as you say "external" movement. I like the expression "...it feels like a suction force pulling the body..." when pulling. If done correctly there will be no feedback of sensation from the leg. If pushing one first feels sensation in the calf, if pulling one feels just the sole of the foot as it seemingly "grips" the floor...no feedback of the leg, calf, thigh, etc. William C. said: "I have been working with the classical tai chi tapes for a couple of weeks now and as a twenty year practitioner of the Yang family style I want to make the following comments. I have never been so clearly informed on the differences in moving the waist while the pelvis and hips are still. I feel like a towel that is being wrung out with the center of the wringing out dynamic is in my abdomen. Also, I have never been instructed in pulling from the leading foot. I was having a hard time with this until at last in practicing the walk I had the feeling at first in the backward walk that there was a suction force pulling me back and it felt quite effortless. It is taking some time to get used to but my practice formerly was to play the form with such big steps, now I really need to think a new dynamic and remind myself to place my heel near the toes of the other foot. It's amazing that this small step produces such a good whole body stretch. I am finding ways to practice the quarter body movement in a repetitive manner in many situations including the physical work that I do. 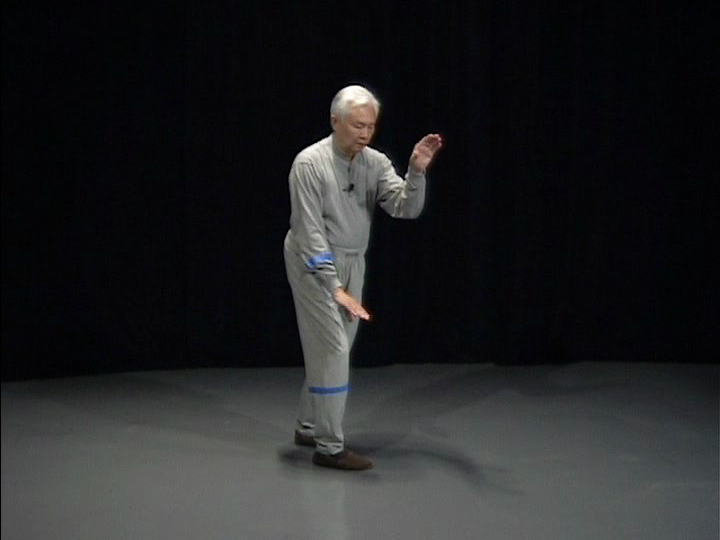 Mainly though in repetitive single tai chi moves. I have never been shown the difference between the internal discipline and momentum before..I am interested in the history of this form, not to prove its validity, that is borne out in the practice." 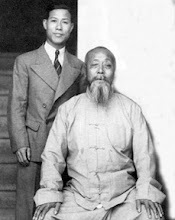 Thank you Master Hwa for the wonderful instruction! William C.
Earlier history about the form which passed down from the Chen to the Yang is not quite as clear. The form I am teaching is actually an intermediate circle, simply because small circle or the compact form as I mentioned in the video, should not be taught to a beginner. When one is proficient with the intermediate circle, you will be able to evolve into small circle naturally. Tai Chi is Tai Chi is Tai Chi is Tai Chi...In my classes and discussions I hear comments that "Internal Discipline is LIKE belly dancing...so I will dust off my belly dancing dvd", "Internal Discipline is LIKE isometrics or IS Isometric exercise", "Tai Chi is LIKE Yoga, like upright Yoga", etc., etc. These are all wrong because the art is not an "analog" and therefore is not subject to "analogy"...this is due to the concept of "Yi", the martial intent of movement. 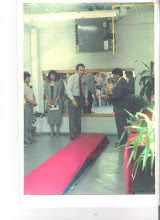 Read on gentle reader to see what my teacher Master Stephen Hwa says to Lori N. when she calls it dance and subjects it incorrectly to being an "analog" and therefore analogous to dance. fun. This is going to be exactly what I have looked for so long. I have always loved to dance but never enjoyed performing for people. This dance of Taiji will be that dance I have been needing for so many years!" "I am glad you have made a good start. It is important that you feel fun and challenged while you doing it. Your comments about Tai Chi as a kind of dancing is what prompted me to write about the topic Yi click here for article on "YI" (martial intent)– the martial art intent. I remember my teacher became unhappy when someone referred to Tai Chi as an exercise. Again, the “intent” is lost when it was called as an exercise. " My student is entering his 2nd year in a Master's Degree Occupational Therapy program. He is also very good with anatomy because he is a teaching assistant in the dissection lab. He tells me these "pnf" PNF stretching, or proprioceptive neuromuscular facilitation stretching techniques look very similar to movements in Master Hwa's "10 exercises"...and I think they do as well, for instance "d1" flexion (click lower left picture) looks like exercise e8. 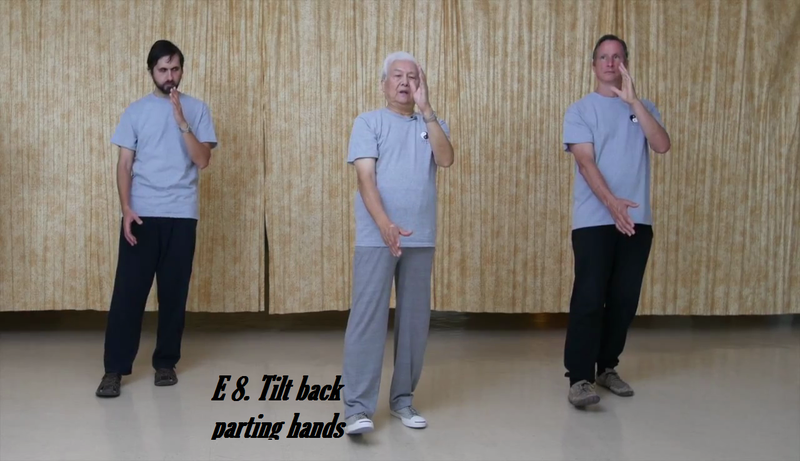 In discussing this with him he made the point that OT in general works upper body while PT works lower...yet Tai Chi works both ends of the spectrum in a holistic manner.